This beginner’s muscle mass program is designed to take you from weak and skinny, to strong and jacked. Even the best physiques in the world began with a dumbbell, a puzzled look on a face and probably a few errors here and there along the way. 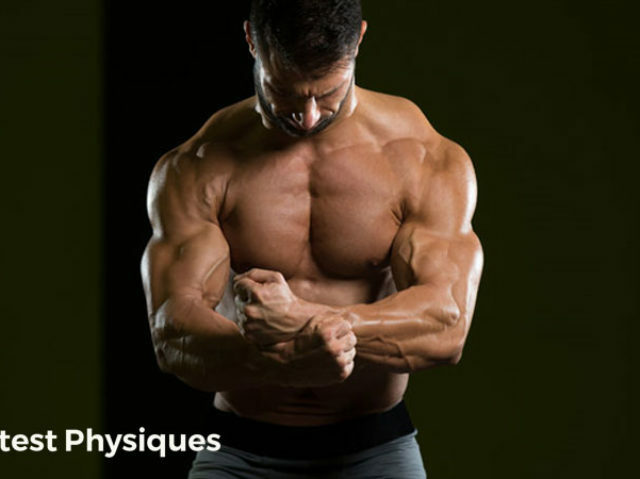 In this muscle building workout plan we take you from the very start of the journey to a confident, stronger and more muscular body. If you’re a beginner to strength training, this is for you. If you haven’t yet got to grips with dumbbells or the barbell still intimidates you, this program will teach you the basics. Yeah okay, it’s tough in places. But it’ll need to be in order to force your body to lay down some new muscle cells. But right of the heart of this program is you – an eager, motivated person who wants to find the right balance of progress and difficulty. You’re here because you want to make changes. Whether you want to build bar-breaking strength or go up a couple of t-shirt sizes, you’ve made the right decision in hitting up this guide. Many new lifters jump in at the deep end and try to follow the training program of their favorite pro physique athletes. Or they’ll jump in with their buddy who’s been hitting the iron room for the past year. The programs are too hard. They get demotivated (and sore), and eventually give up. Admitting you’re a beginner is a big stride forward in crafting out a great physique. That way, you can follow a program that suits your exact needs, rather than trying to be something you’re not. See this as a springboard program. Complete these 12 weeks, build some decent muscle and then catapult yourself forward into one of our more advanced programs such as the 90 Day Muscle Building Workout Plan. All good journey have a beginning. The problem is that we want things now! When it comes to carving out a strong and muscular body we want it to happen straight away. We’re just not very patient. And that can lead to poor choices about what types of exercise plans are used. It’s easy to over-complicate muscle building workouts – particularly as a beginner who’s bombarded with advanced strength programs and fancy lifting protocols used by the elite coaches. As a beginner it’s important to know where you’re at. Building a strong foundation now will put you in a prime position going forward. And when you do come around to the advanced stuff, your foundations won’t crumble under the pressure. This might sound straight forward , but it’s where so many people on a beginner strength workout plan go wrong. It doesn’t matter if you’ve got the best program in the world, if you don’t ‘turn up’ it’s useless. As a beginner it’s important to build positive habits. One thing that all of the experienced, bigger guys have in common is that this have made the gym part of their life. It’s not about ‘can I get to the gym tonight?‘. It’s more ‘I’m off to the gym later, everything else can wait!’. So right now, your main focus is to try and get to the gym for all of your planned sessions. Yes, there’ll be days when you just can’t make it – that’s just life. But if you truly want to build some mass then it comes down to you, your habits and your motivaton. When it comes to building muscle mass, some people choose to go for the ‘split training’ option. This is when you train one or two muscles per workout and train them only once per week. To build muscle you need to achieve a certain weekly volume. This is measured as weight lifted x reps x sets. When you train chest (for example) on a Monday you might complete 3 sets of 4 different exercises – that’s 12 sets total. You’ll stimulate some muscle growth and your chest will get bigger over time. But here’s the thing – if you split those 12 sets up over a week by doing 4 on Monday, 4 on Wednesday and then 4 on Friday you’ll build just as much muscle – often more if the research is anything to go by . When you hammer a split session out you’re guaranteed to get sore a couple of days after your workout – what’s called delayed onset of muscle soreness. More so if you’re a beginner who’s body isn’t used to tough training. But with a full body approach your workout volume is lower in each individual session, therefore you don’t suffer as much. Note: Even some of the pro’s are switching to full body workouts these days, knowing that it’s less strenuous but still builds muscle. It’s easy to get wrapped up in the intricacies of program design. After all, top level strength coaches deliberate about the impact of exercise order for hours and hours on end. As a beginner it really makes no difference whether you perform chest presses after curls or squats before pulldowns. Again, it all comes back to weekly volume. One thing you do need to focus on though is maximizing the use of compound exercises over isolations. Compound exercises – these work multiple muscles at the same time. Examples are bench press, deadlift, seated row and squat. Isolation – these typically target one individual muscle. Bicep curls, triceps extensions and leg extensions for example. Focusing on compound exercises is a great way to boost weekly volume in less actual exercises. There’s no point in performing endless isolation lifts when you can integrate everything into a program of just a few really effective exercises. The result – less time in the gym; more time for you. Note: Isolation exercises definitely build muscle as well, but focusing on compound lifts is a more time-efficient, optimal way to add mass as a beginner. Back in the day, weight lifting was all about training in the hypertrophy range – 8-12 reps. This specific window was said to be optimal for mechanical and biochemical overload needed to build muscle. Science now tells us that you can build muscle at any rep range – as long as overall volume is high. For example, one study found you can build as much muscle at 30% of your maximum than you can at a heavier 80% . The key thing here is to achieve fatigue in each set. So whether you are aiming for 6 reps or 15, try to choose weights that are challenging. You’ll only grow muscle if you challenge your body. Note: Our advice is to choose a weight that allows you to squeeze out 8-10 reps. Stick with this weight each week until you can complete 15 reps. As soon as you can, increase it and start the process again. Another traditional approach to muscle growth is to time your rest period between sets to trigger biochemical changes that led to higher levels of muscle mass. Short rest times were said to equal more mass. The problem with this method though was that the weight you were lifting each set got lower and lower because you weren’t fully recovery. The side effect was that volume went down because the weights were lighter. This essentially means that you rest as long as YOU want to between sets. If anything, longer rest times are better for you. And as more and more research comes out saying that strictly regulating rest times aren’t important for building muscle, you’ll be happy in the knowledge that you can leave the stopwatch at home . Here’s your 12 week muscle building program for beginners. All you have to do is follow the 3 different programs each week. You’ve got 3 workouts per week. Do them when you can, but try and have a day off between sessions if you can. There’s no need to keep switching your exercises around week by week as you’ve got plenty of variety in there. Like we’ve already said though; as soon as you can hit 15 reps you need to up the weight to keep that muscle building stimulus going.